When it comes to maintaining and repairing your barbecue grill, patio heater, fireplace or firepit, trust the experts at Big Apple. 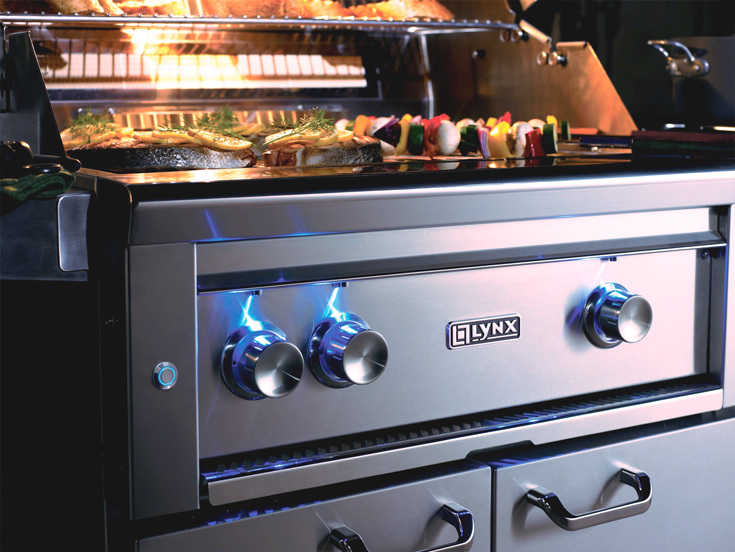 Our factory trained staff are authorized to service and repair all leading brands including BroilKing, Broilmaster, DCS, Weber, Lynx, and many more. Plus, we stock thousands of original parts and accessories too. It's never safe to risk cooking on a damaged grill. Rusted burners, leaky valves and brittle hoses can ruin way more than just your dinner plans. So be safe, be smart, and call us today to learn how we can help you restore your grill to its original quality! Our professional service team will come to you, so there's no needs to disassemble and transport your grill or heater. And we'll work with you when making your appointment to pick a convenient date and time that fits your busy schedule. Call us today at 718-204-1166 to speak with a Big Apple BBQ Repair specialist! The 4th-floor walk up. The balcony with the view of the river. Or your neighbors clothesline. The rooftop penthouse. The Hamptons summer home. Or even Tar Beach. The last-minute BBQ gathering of 50 of your closest friends – and it’s this weekend. This is the Big Apple. And we’re Big Apple BBQ. We live here too. So we get what makes living here so special. And so challenging sometimes. But grilling is about enjoying good food in good company, not about the hassles of how you’re going to get your grill – and your propane – when and where you need it. Let us help. We’ve created our Big Apple BBQ Custom Concierge Delivery service for just those kinds of tricky situations. We know the ins and outs and everything in between when it comes to delivering, assembling and installing your new BBQ grill safely. 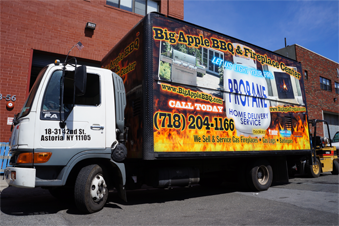 Call us today at 718-204-1166 to speak with a Big Apple BBQ Delivery specialist!